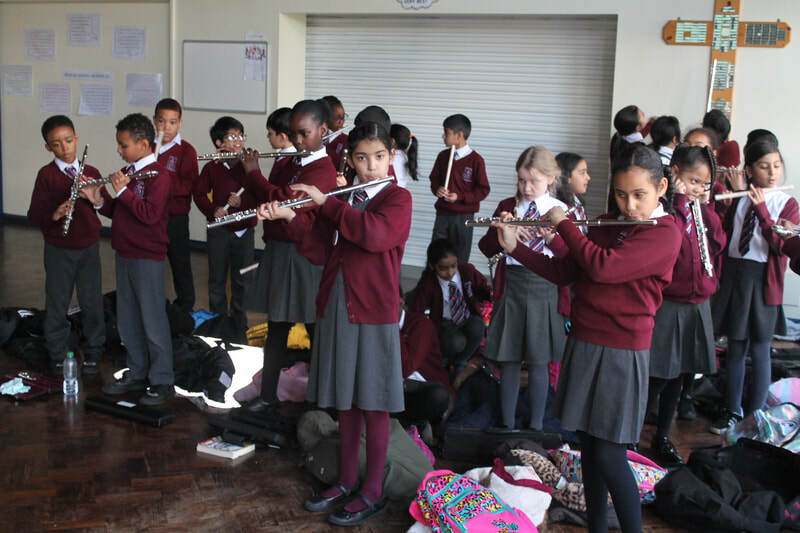 Every Tuesday, here, at St Martin de Porres school, is Music Day. 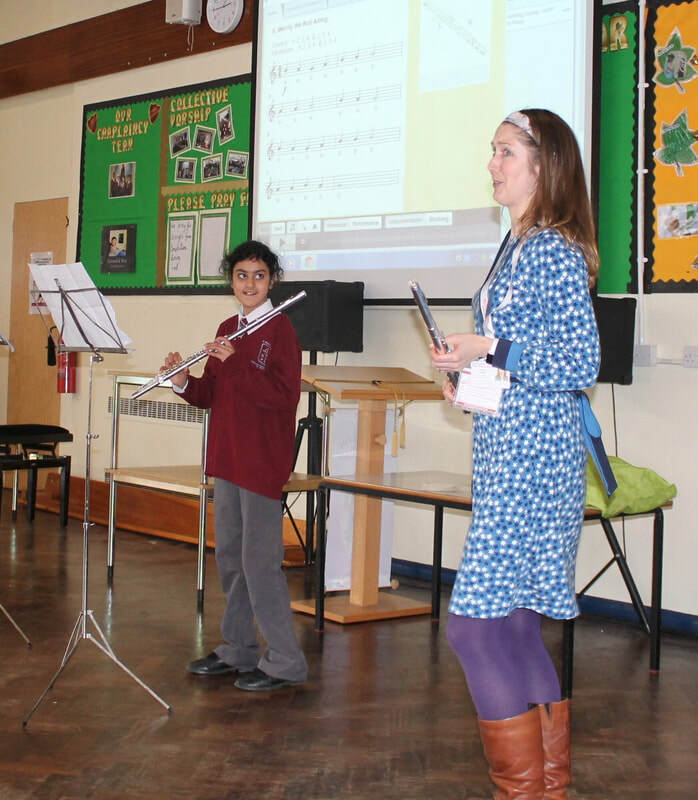 Miss Moran comes to play the piano during Mass before teaching music to Year 3, Year 2, Year 5, and Year 6. 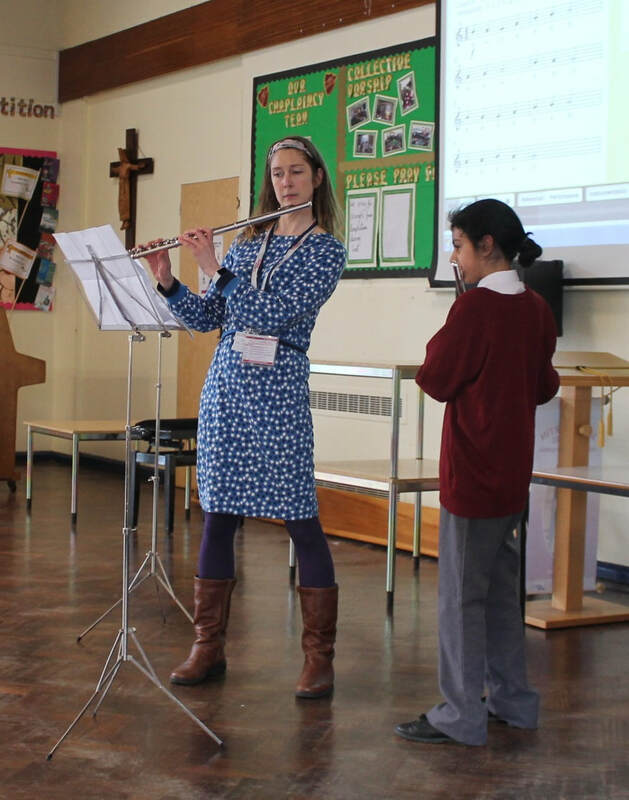 Miss Harris comes at lunchtime to teach flute to a small group of Year 5 and Year 6 children, before teaching the instrument to all of Year 4 class. 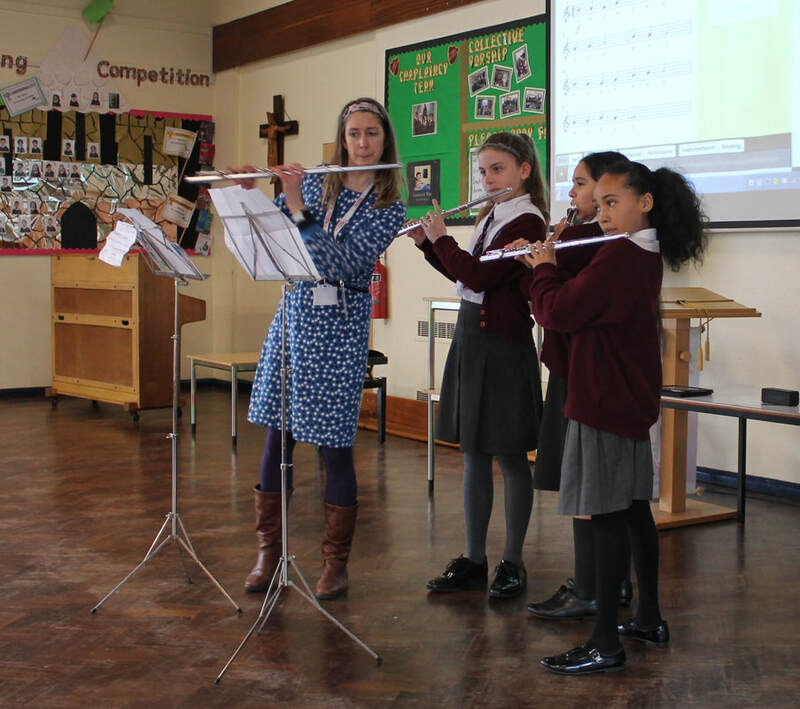 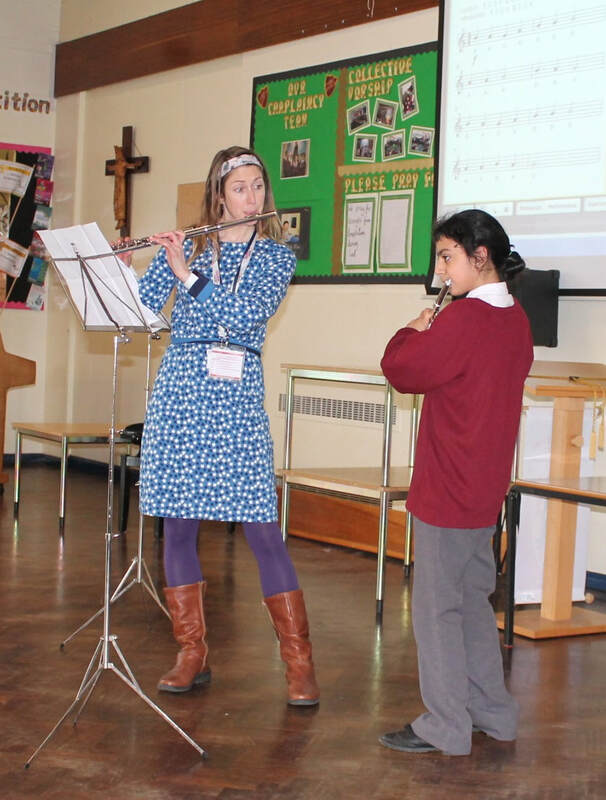 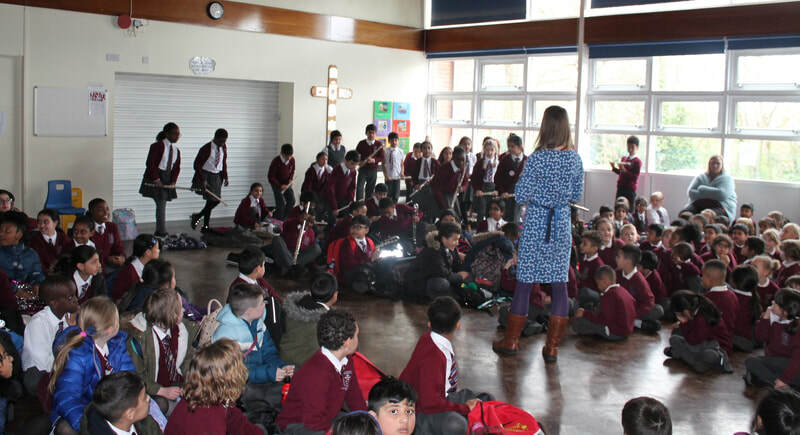 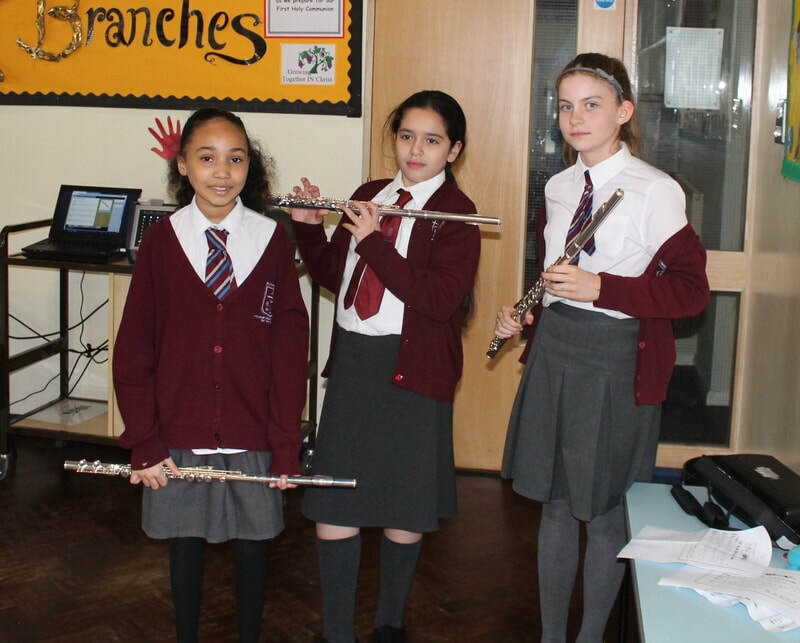 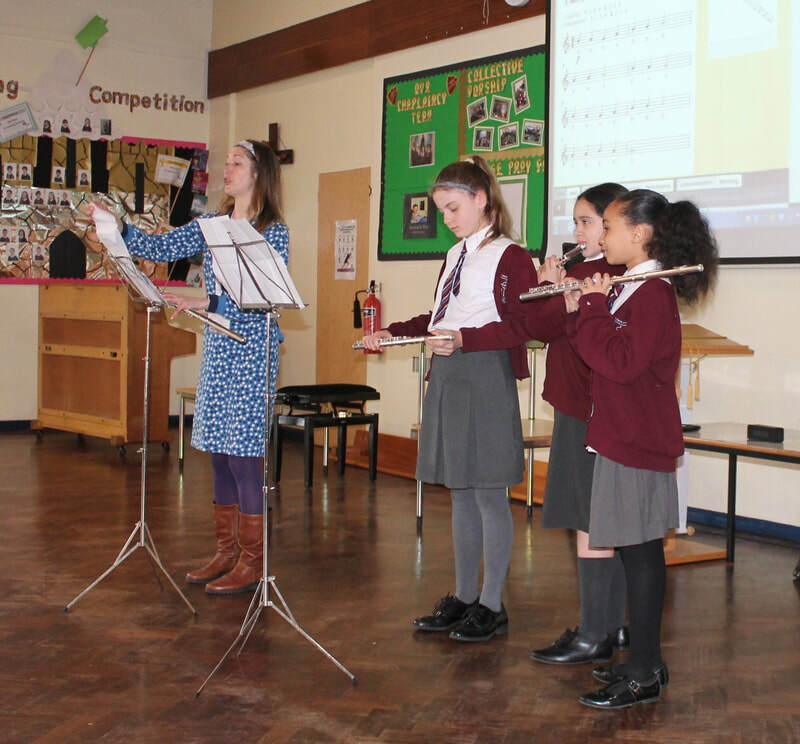 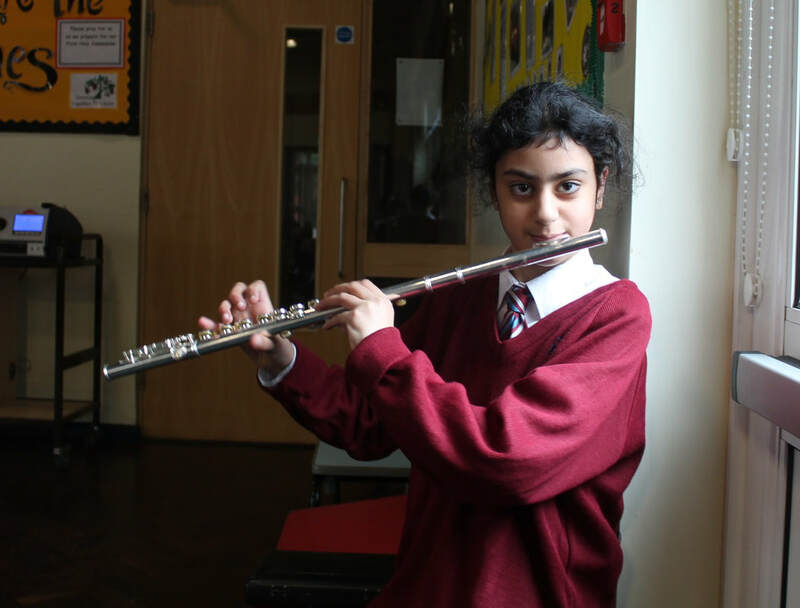 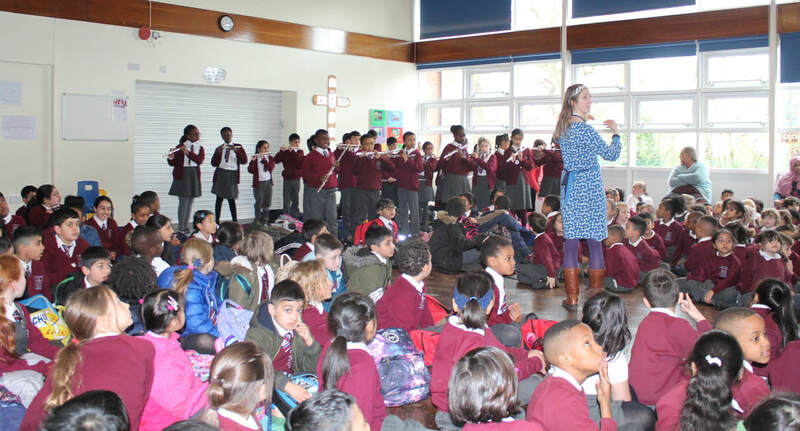 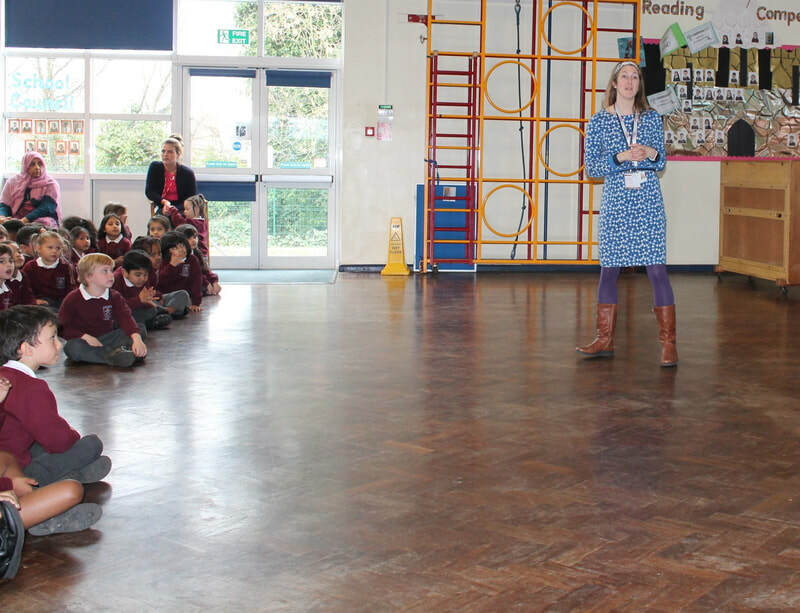 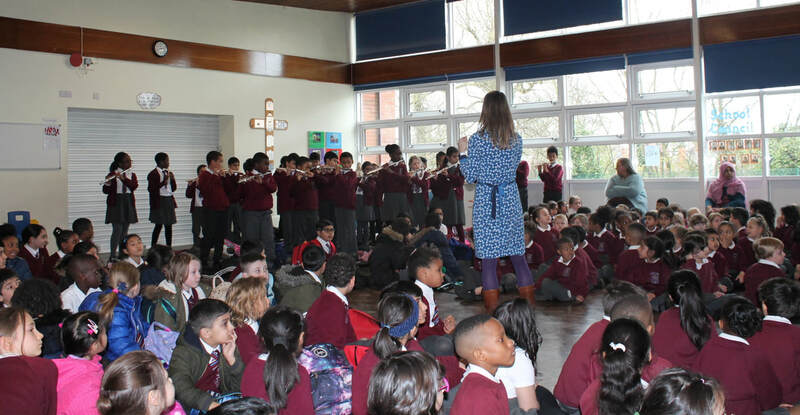 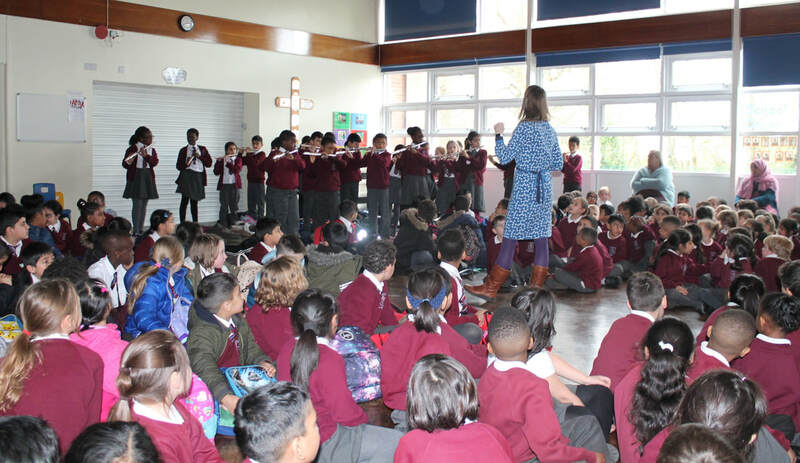 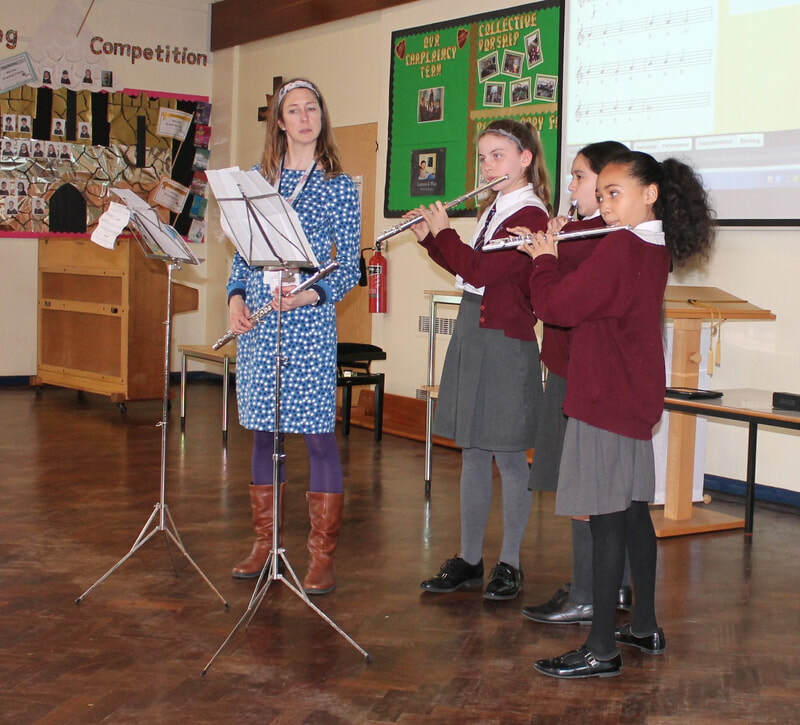 ​On Tuesday 2nd April 2019, our two groups of flautists gave a little concert to all other classes gathered in the hall in the afternoon.